Take a trip down memory lane – but prepare for random battles. 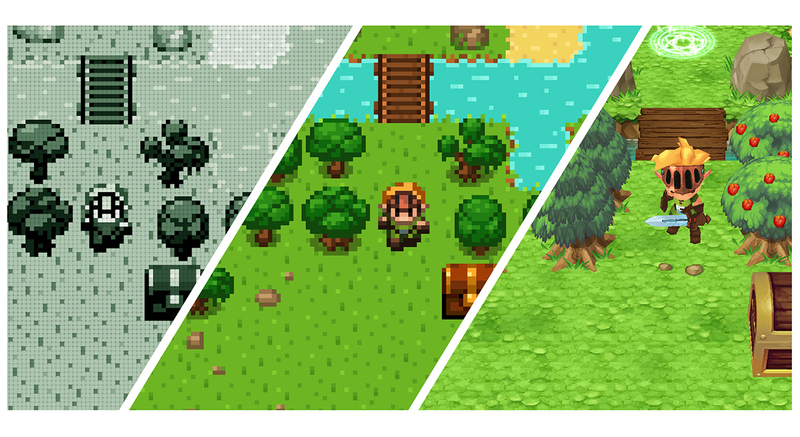 Evoland is a game in which we journey from the early days of adventure games; 16-bit graphics, black and white, movement restricted to 4 directions, all the way up to the full 3D experiences that we know and love. These changes happen via opening chests that unlock various assets and classic mechanisms of adventure games. First you must unlock the ability to walk left, but before long you're unlocking the music, and soon enough the entire visual of the game has changed into glorious colour. From small nuances like the ability to see the name of the place you are in when you enter it, to unlocking an overworld and villages, all the tropes of the adventure game are here. Evoland is effectively a blend of The Legend of Zelda and Final Fantasy, with additional inspiration from games such as Diablo. 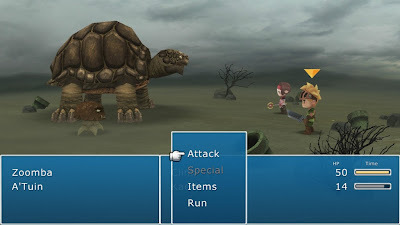 The way this blend works is that the overworld is Final Fantasy style, with random battles and turn-based combat, whilst the villages and dungeons are classic Link play. The game is full of references from both of these series; you play as Clink (Cloud, Link, get it? 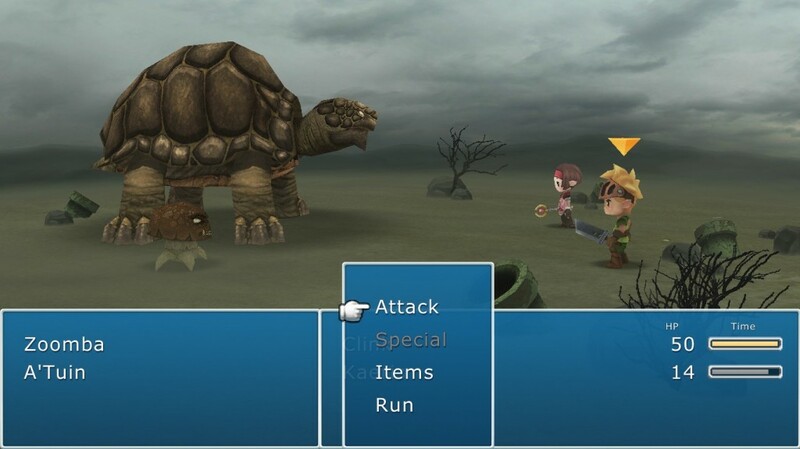 ), there is a man named Sid, there's an airship, you get “Claud's sword” that looks strangely familiar to a famous oversized weapon from some PS1 game that you've probably heard of, there's plenty of nods to both series. Now you may be wondering how on Earth a small indie title can capture so many elements of 2 of the most prominent series in gaming history, in such a short space of time. The answer, sadly, is that it doesn't. Within an hour you've unlocked all of the major changes, from there on everything is cosmetic. As for the quality of the game itself, it's... okay. It's fun for the most part, with some nice puzzles (especially once you acquire a bow, then the puzzles get really interesting) but I'm not sure if there's enough at hand to make this a truly amazing game. The concept is brilliant, but I feel that this is the problem: once you've earned all the main changes and had your time of saying “I remember that!”, there's not much else to it. The plot really is quite pointless (though it seems the game itself makes fun of this). You walk about, meet a girl with a problem, help her, get an item, fight the big boss, end of game. Everything between these points is either admittedly enjoyable puzzles, or walking from point-to-point in the overworld. Speaking of the overworld, this is by far the most irritating aspect of the game. Of course, random battles are a famous element of Final Fantasy games, but Evoland takes this to ridiculous degrees. Nearing the end of the game, it was virtually impossible to spend more than 5 seconds moving in any direction before another battle ensues. 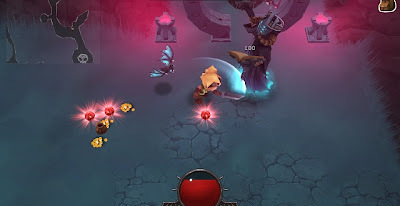 Considering how simplified these battles are (Clink can attack and nothing more, whilst the companion you gain can heal and eventually attack with a spell she learns), it gets seriously tedious. And quickly. In fact, the game seems to delight in taking the negative parts of both series, and exaggerating them to stupid levels. In the dungeons, you find yourself swamped with enemies constantly, and the measly health drops make it far too easy to die. When you consider that this really isn't a game of skill, since when in the dungeons your only attack option is to button mash and hope for the best, it can be seriously frustrating having hordes of skeletons thrown at you. Far worse are these little wizards who camp behind the rows and rows of enemies, flinging spells at you that decimate your health. Stupid bloody wizards. 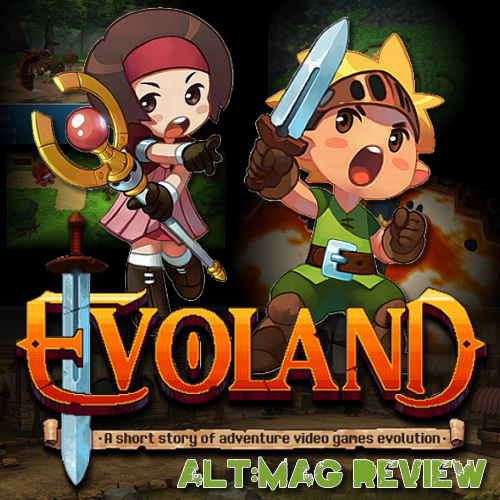 All in all, Evoland is a decent little title, but it really is short; it didn't take me longer than 3 hours and I was making a deliberate effort to explore everywhere in fear of missing a chest that gave me some other kind of attack (downward thrust, anyone?). For the £6-£7 price range, I would suggest that unless you REALLY love those old Zelda games, or are desperate for something nostalgic, then this game might be worth your money. 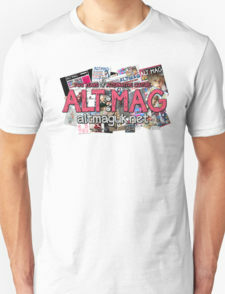 Personally, I feel it's too specifically catered at those 2 titles to really satisfy anyone who isn't a devoted fan. Not a bad game by any means, but certainly not groundbreaking. I give it a 6.5/10. You can purchase Evoland on Steam here.